Johannesburg - A disastrous weekend for South African and Nigerian clubs in the CAF Champions League ended with all four representatives eliminated at the last-32 stage. Nigerians Kano Pillars fell to Moroccans Moghreb Tetouan despite a 2-1 second-leg victory through a late Rabiu Ali goal. Tetouan took a four-goal advantage into the return match and Mouhcine Iajour was the star of the tie, scoring a hat-trick in Morocco and another goal in Nigeria. Two-time champions Enyimba clung to a one-goal first-leg lead against Egyptians Smouha in Mediterranean port Alexandria until five minutes from time. But relentless pressure on a Nigerian outfit reduced to 10 men by the red-carding of Kingsley Sokari eventually told and they conceded two late goals. Hani Al-Egeizi converted a penalty and Hermann Kouao snatched the tie-clinching second goal in the final minute for the Champions League newcomers. Early exits are becoming uncomfortably common for both clubs with Pillars making a preliminary-round departure last year and Enyimba joining them on the 2014 scrapheap after the last-32 stage. 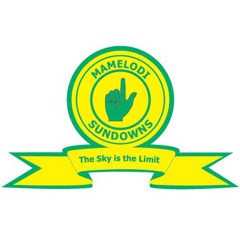 South Africans Mamelodi Sundowns were also unable to defend a one-goal advantage on foreign soil, as they crumbled 3-1 at Democratic Republic of Congo giants TP Mazembe. Goals from Zambian Rainford Kalaba, Tanzanian Mbwana Samata and Ivorian Roger Assale gave Mazembe control just before the hour mark in Lubumbashi. And the nationalities of the scorers illustrated the multi-country make-up of a Congolese side bankrolled by mining magnate Moise Katumbi. Substitute Percy Tau scored six minutes from time for Sundowns, another club led by a mining billionaire. Emerging Nigerian star Ighodaro Osaguona bagged a brace to earn Moroccans Raja Casablanca a 2-0 home win over Soweto outfit Kaizer Chiefs. Tall, thin and sporting a mohican haircut, Osaguona punished the tiring South Africans with a goal after 87 minutes and added another four minutes into stoppage time. A 50 000-plus flag-waving, singing crowd in the Stade Mohamed V created a wonderful atmosphere, but there was little goalmouth action during a cagey clash. Osaguona also scored the only first-leg goal and is joint leading Champions League scorer this season with Iajour on five. Ghanaians Asante Kotoko disappointed for the second successive season, losing 2-1 at home to Algerians El-Eulma after forcing a goalless first-leg draw. Having struggled to fund the trip to Congo Brazzaville, Kenyans Gor Mahia bowed out after a second 1-0 loss to AC Leopards with Cesaire Gandze scoring in both legs. Zambians Zesco United offered brave resistance against Guineans Kaloum in Bamako before losing a penalty shootout when Jackson Mwanza fired his spot-kick wide. Both Cameroonian clubs fell with Cosmos Bafia and Coton Sport suffering two-goal defeats away to Tunisians Esperance and Congolese Sanga Balende respectively.